NoJazzFest.comThe New Orleans Jazz & Heritage Festival is usually an event that boasts an eclectic line-up of performers, ranging from soul artists to rock stars. This year, Robin Thicke has been tapped as one of the main headliners. 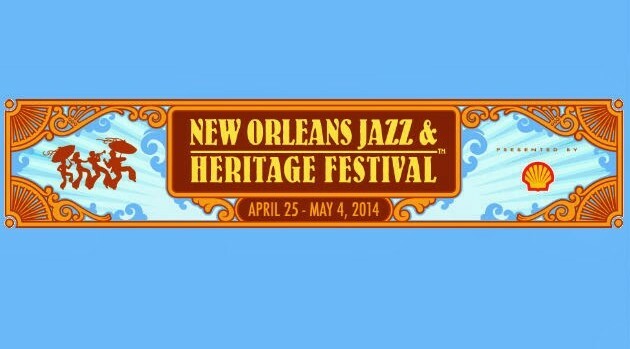 The New Orleans Jazz & Heritage Festival takes place over two weekends from April 25 through May 4 in the Big Easy, and features dozens of artists, including Trey Songz and Charlie Wilson. Robin will perform on Saturday, April 26, about a month after his last currently scheduled tour date; his headlining tour kicks off in Atlanta on February 21. Among the other artists on the bill this year: Public Enemy, Chaka Khan, Solange, Mary Mary, Bobby Womack, Gregory Porter, Laura Mvula, and more. Find the complete festival bill and ticket info at NOJazzFest.com.